From Castleblayney Co Monaghan multi-instrumentalist Jim McHugh brings a new edge to the folk tradition blending traditional and indie styles with up-tempo beats. His musical roots reach back to his time writing and performing with his band The Mandalas (aka Unaware). In 2016 he drew upon his past and recent musical experiences to record an album of new songs entitled ‘Noise Machine’. Jim’s last release ‘An Muc Snámha’ an Irish language song celebrating both Seachtain na Gaelige and Bliain na Gaeilge was released in March 2018. This song was based on the legend of the swimming pig of Lough Muckno and received repeated airplay on RTÉ Radió na Gaeltachta. 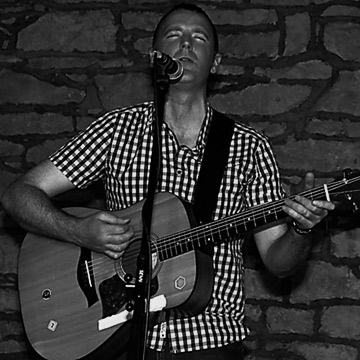 Avenue Road is the brand new single release from Irish singer songwriter Jim McHugh. This song is about the roving’s of a young man around the border town of Dundalk and adjacent coastal village of Blackrock Co. Louth. This is the first single to be taken from Jim’s forthcoming album due for release in early 2019. It was recorded, produced and mastered in Ben Reel’s studio in Armagh and features Jim on Vocals/Mandolin/Electric Guitar, Paul McCabe on Bass, Butch McNeil on Drums and Ben Reel on synthesiser.